Missing Tide is the project and collaboration of some Denmark's most profound metal music makers, though I doubt they're ready to call themselves a supergroup. 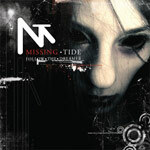 Missing Tide was formed in 2007 by four friends with exceptional credentials: Henrik Brockmann (v), Jacob Kjaer (g), both of Royal Hunt fame, Allan Tschicaja (d, Pretty Maids), and Kasper Gram (b, Manticora). Follow the Dreamer finds this quartet clearing a path through their respective genres to create a finely crafted album which blurs the line between melodic hard rock and metal. There's not a single misfire on Follow the Dreamer; it's all superb, if only conventional. I don't mean this in a bad sense whatsoever. It's a rare talent to craft consistent and believable melodic rock and metal, and Missing Tide does it quite well. From the melodic heavy metal of Traces of Fire to the more melodic hard rock of Follow The Dreamer, Follow the Dreamer blisters with accuracy and enthusiasm. As I said, it's first class from beginning to end, and easy to recommend. Missing Tide, a Danish supergroup of sorts, formed by four friends delivers a masterful debut of solid melodic hard rock and metal. It's first class, well-crafted, music from start to finish.